Top 10 emerging trends/predictions for the next decade that may change the landscape of software testing. This is based on our observations and experience with leading Fortune 500 enterprises and industry analyst research reports. It is interesting to discover each of these trends and to know how enterprises as well as testing professionals can get leverage these trends, re-strategize or re-skill themselves. The Future belongs to Open Source Tools: The next decade (may be more!) will see a lot of Open source tools in action as more and more organizations will adopt them for proper implementation of Agile, DevOps, and Test Automation. Support communities for the open source tools can only become more and more involved and active. Quality @ High speed is the new mantra: Everyone wants the best products in the fastest possible time. This is making organizations focus on providing the best user experience along with the fastest time to market. The speed is only going to increase (and the quality better) with the latest technologies and tools at the disposal of teams. Software Development Engineers in Test (SDETs) will be in huge demand: SDETs have been existing among us since almost a decade, but their role was very different from traditional testing roles. That said, by early 2020, almost all testers will need to wear an SDET hat to be successful in the field of Test Automation, that is going to become mainstream. Agile and DevOps will rule the roost – TCoE is dead: According to Forrester, organizations are not looking at having centralized Test Centers of Excellence anymore. Test automation developers today are now a part of the agile teams. The erstwhile testing arena is making a shift towards quality engineering, and testing is intended to become more iterative, progressive, and seamlessly integrated with development. Digital Transformation is here to stay: With a majority of organizations making a foray in the digital world, the need for digital transformation will require a huge shift of focus towards digital testing. Robust strategies for digital assurance will be required for focusing on optimizing functional testing across channels. BigData Testing will become really BIG: We are sitting atop an explosive amount of BigData today and need to have a very strong strategy around BigData Testing. Testing datasets requires highly analytical tools, techniques, and frameworks, and is an area that is set to grow big. IoT: Heralding an era of Connected Devices: With IoT growing in leaps and bounds, more and more customers rely on IoT Testing before using the products. If the products are not tested, their functionality, security, and effectiveness – all will come under scanner. According to a HP study, 70 percent of devices in the Internet of Things are vulnerable to security problems. DevOps will drive Quality Engineering: DevOps ideology is based on seamless collaboration and integration between the different departments of an IT Organization – developers, quality professionals, and IT professionals. Testing plays a business-critical role as developers are involved not just in the correctness of their code, but also in the testing and overall Quality engineering aspects. DevOps thus is propelling businesses towards greater speeds of deployment and quality assurance and is thus helping them realize higher returns on investment and faster time to market in a cost-efficient manner. Performance Engineering is replacing Performance Testing: Repeating a cliché – “A good user experience is the key to a successful product”. Consistent performance across diverse platforms, OSs, and devices defines how much of a market can a product really capture. The need to provide the best experience to users is making organizations change their strategy. They are now moving away from just providing Performance tests to providing Performance engineering. 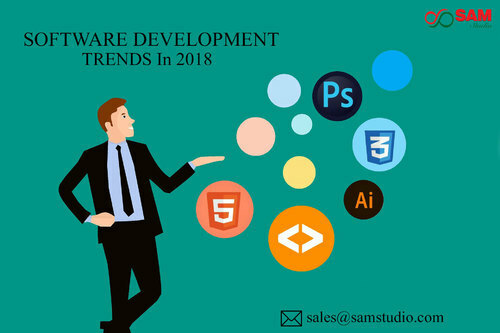 The best news is that Software Testing Budgets will continue to grow: It is but obvious that with such huge focus and demand for high quality products, and with major IT trends such as BigData analytics, Cloud Technologies, Mobility, and Virtualization, Testing has become more than just a need. This will push the organizations towards allocating a bigger chunk of their IT budget (around 40%) for software testing and QA.